AirTrack Inflatable Mats. Looking for a way to boost your skills and help people make more progress during trainings? You've found it! If you’ve been looking for a way to boost your skills faster than ever, you’ve found it! The AirTrick is the ideal mat for anyone trying to learn new tricks or perfect his technique used also for Parachute target landings. 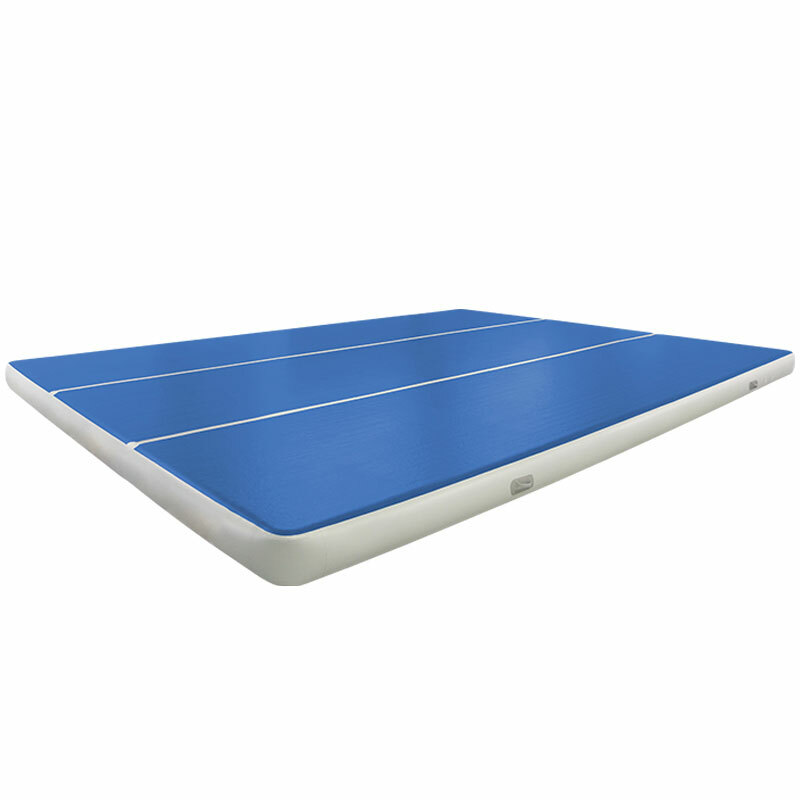 AirTrack has the bounce a trampoline down to a soft landing crash mat, while having the space to combine multiple moves like you’re on a regular gym floor. You can set the pressure to anything between rock-hard and bouncy-soft. Easy to roll up and transport in a regular car. The AirTrick is relatively light and easily setup in the gym. The AirTrick can be placed on any floor. The required blower is very light. Pressure is easily customized within seconds. Inflating and deflating is done in within 5 minutes. No noise during trainings because continuous inflation is not required. After inflation, the AirTrick will maintain its pressure for hours, refill only takes seconds. Easily portable from gym to gym. Simply roll up the AirTrick and it will be small enough to fit in the back of your car. The takeoff is soft, which helps prevent injuries. The rebound on air makes you jump higher and grants more precious air-time to work on your technique.